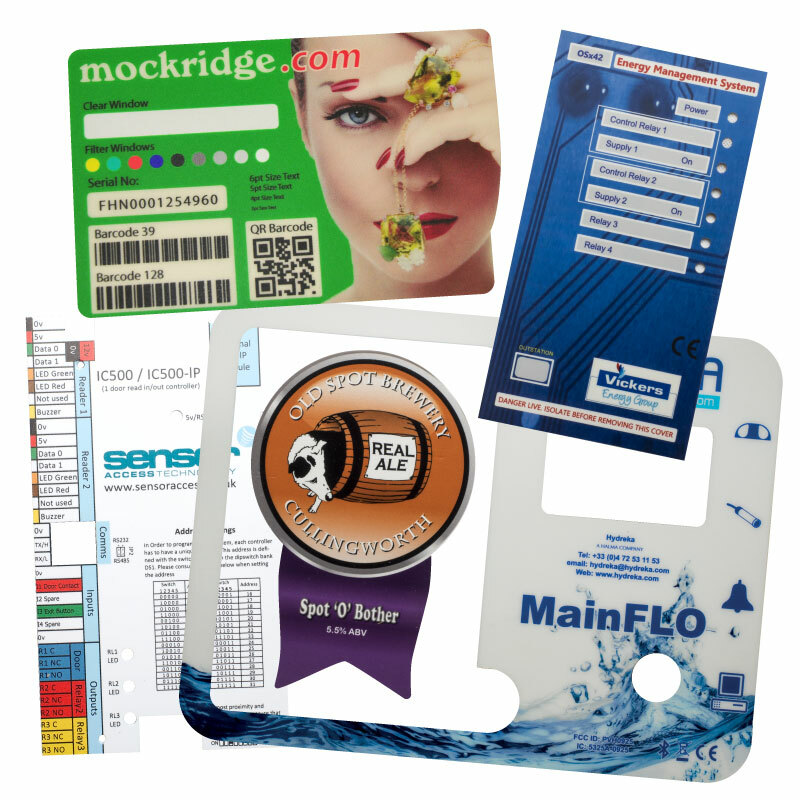 Digitally Printed Labels can be produced on either reel fed machines for printing onto flexible self-adhesive materials, or flatbed machines designed for printing onto rigid materials such as hard plastics and metals. Digital printing refers to methods of printing from a digital-based image directly to a variety of media used for digitally printed labels and nameplates. Digital printing has a higher cost per page than more traditional offset printing methods, but this price is usually offset by avoiding the cost of all the technical steps required to make printing plates or silk screens. It also allows for on-demand printing, short turnaround time, and even a modification of the image (variable data, consecutive numbers and barcodes etc.) used for each impression. The savings in labour and the ever-increasing capability of digital presses means that digital printing is reaching the point where it can match or supersede other printing technology’s ability to produce larger print runs of digital labels and nameplates at a low price.